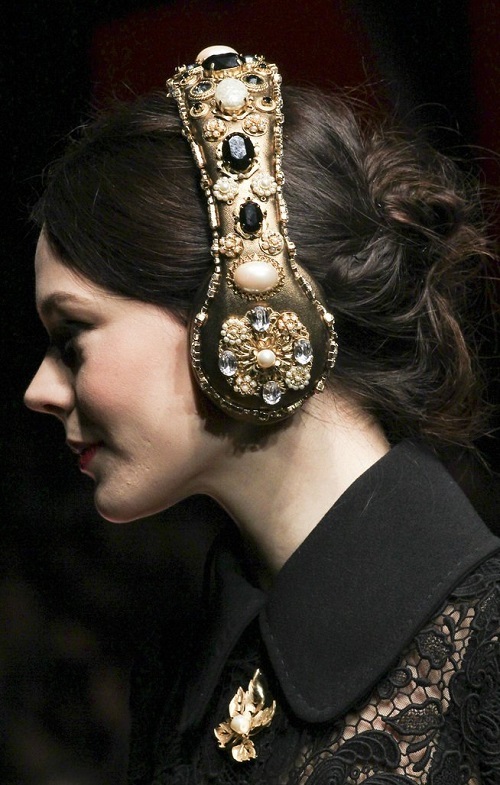 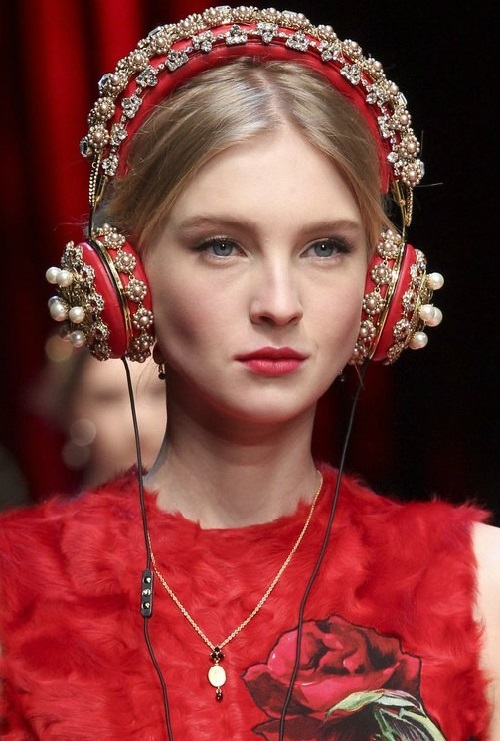 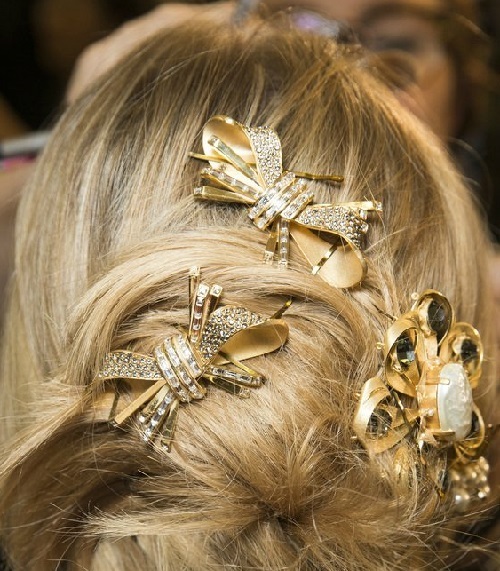 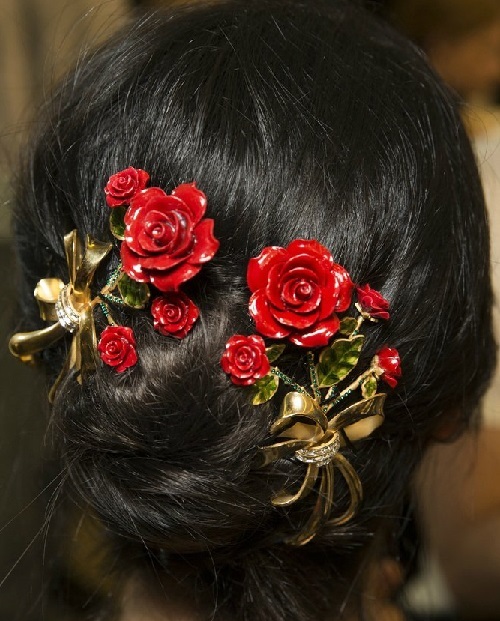 Dolce Gabbana 2016 head accessories – tiaras, headbands, hairpins, combs, headphones, and the crown – a truly distinctive feature of the iconic Italian fashion brand. 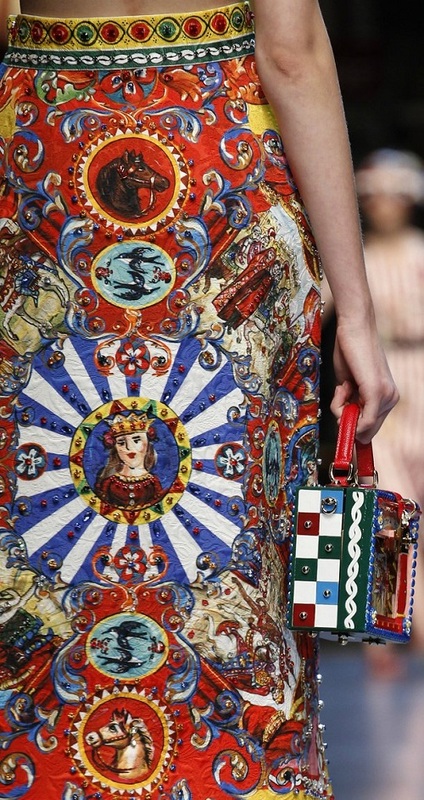 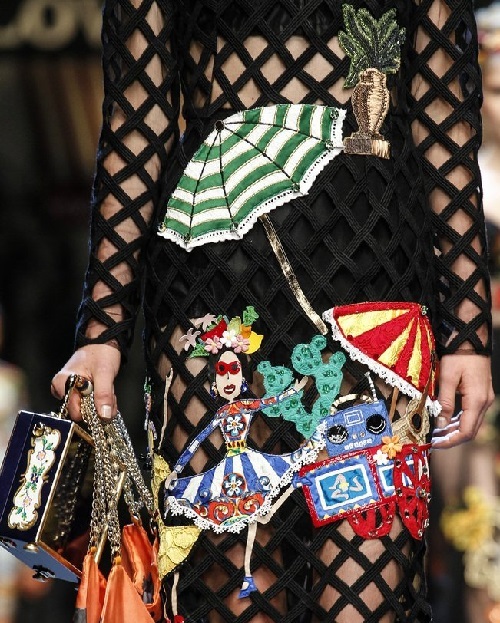 Without changing traditions, Domenico Dolce and Stefano Gabbana have dedicated to their homeland yet another women’s collection, the show which took place on the eve of Fashion Week in Milan. 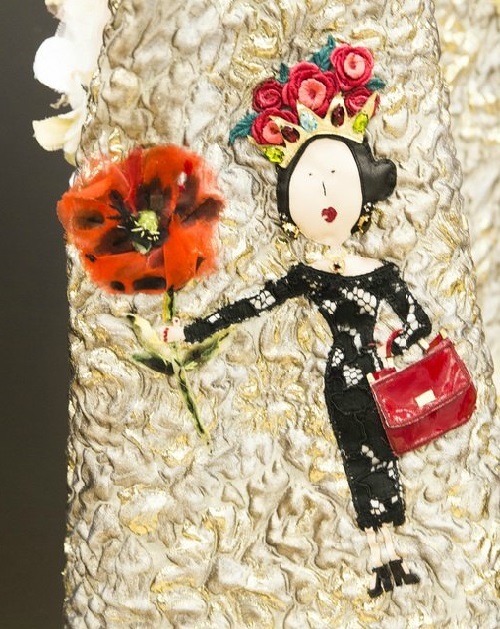 At this time, a source of inspiration for designers became vintage postcards advertising the most famous resorts in Italy: Capri, Florence, Rome, Venice. 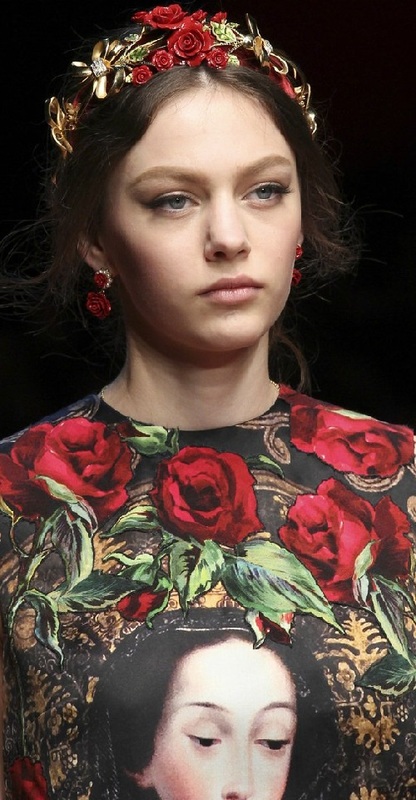 The main theme of the collection is reflected not only in print, adorning clothes, but also in the style, made in retro. 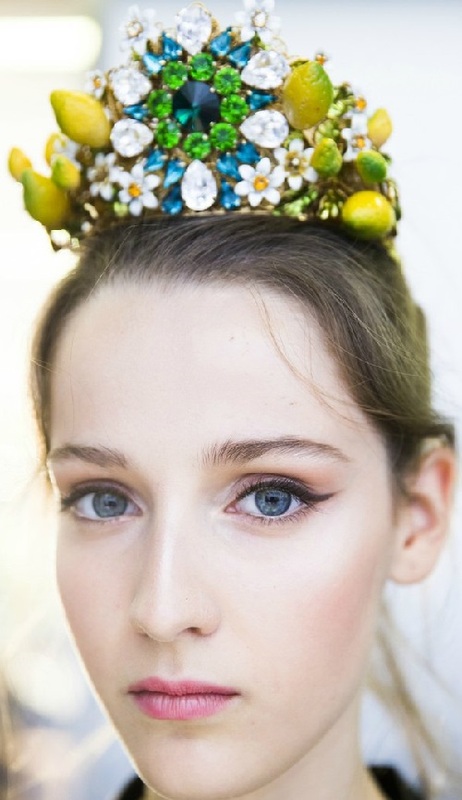 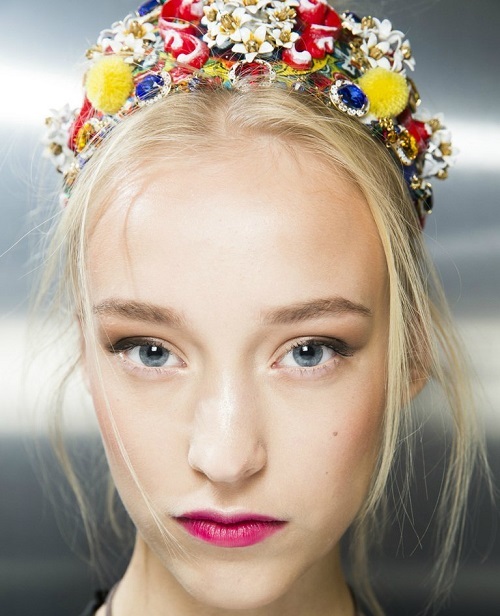 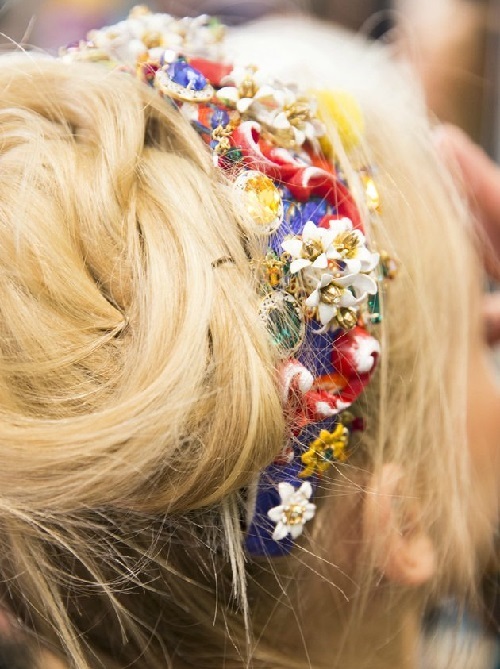 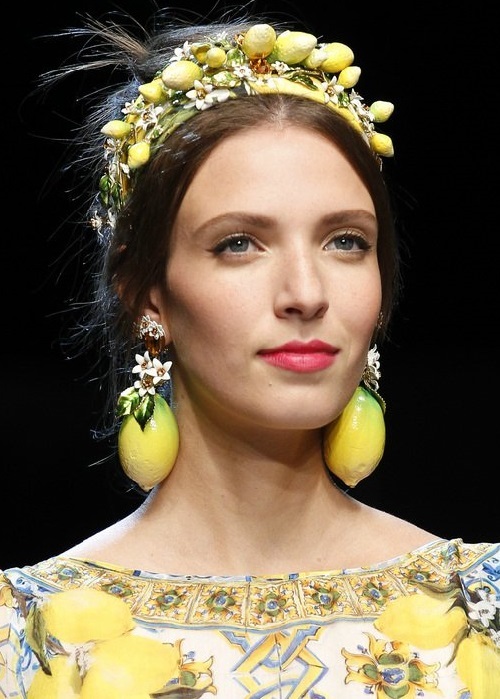 The recent collection of Dolce and Gabbana was very bright, with excellent color combination, massive tiaras and hair ornaments of all colors of the rainbow, united by one theme – flowers. 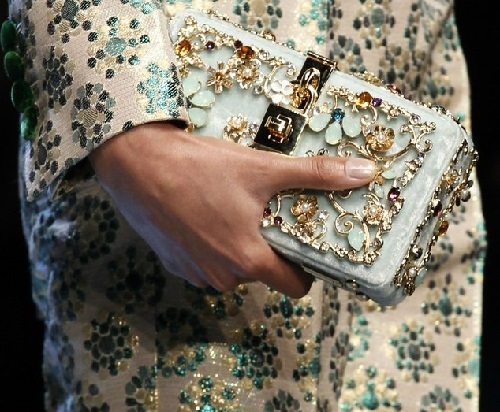 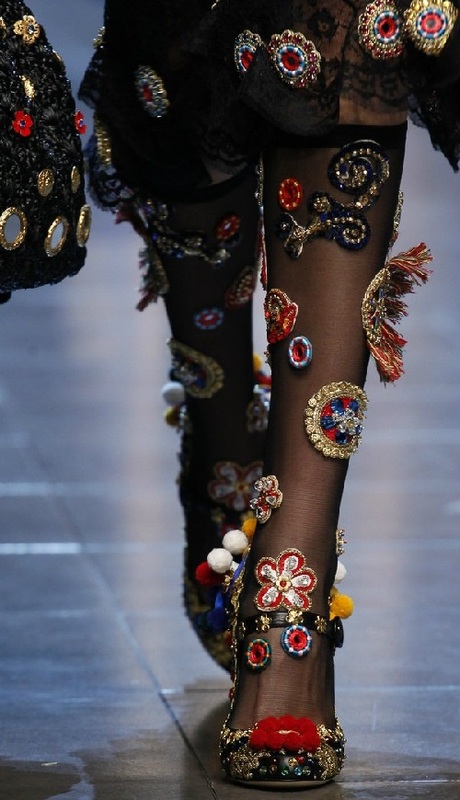 Domenico Dolce and Stefano Gabbana do not cease to please their fans with fairly large showy jewelry, unusual design of glasses, bags, baskets and gold heels, embroidery, applique, stunning ornaments. 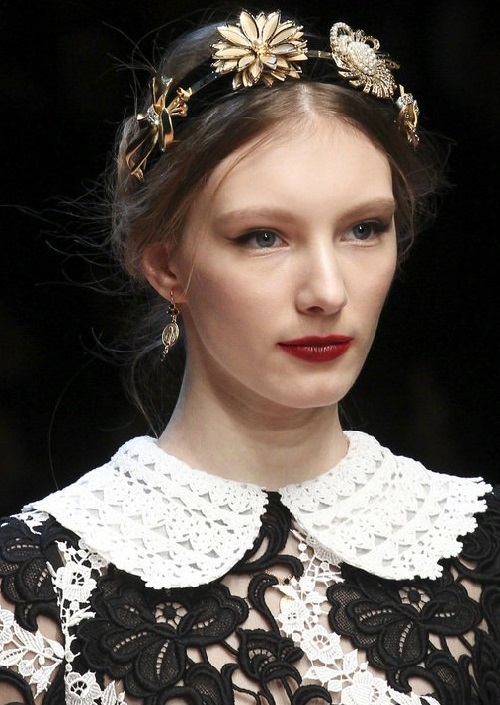 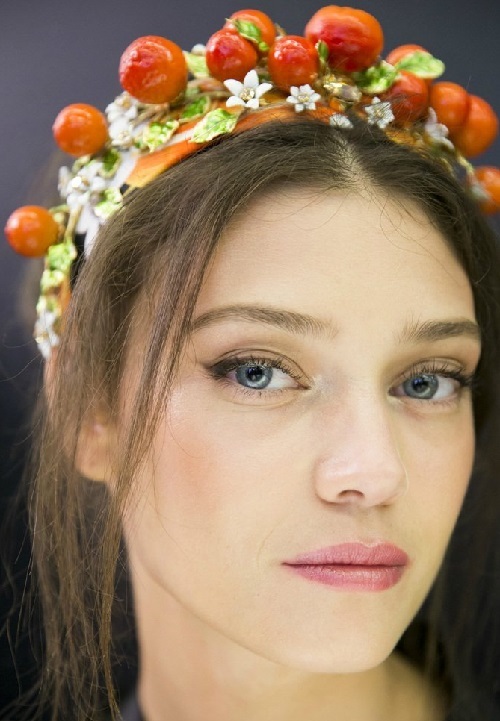 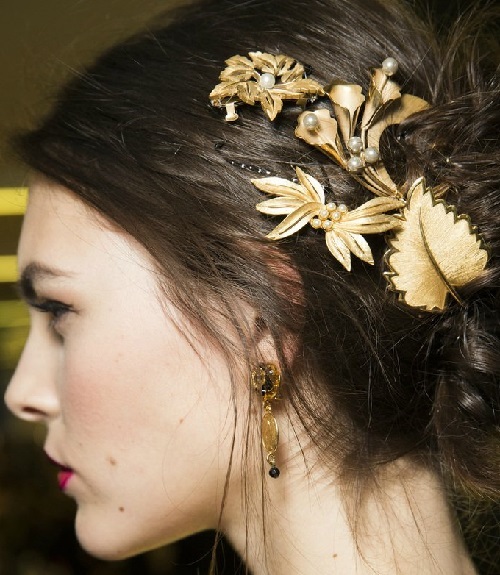 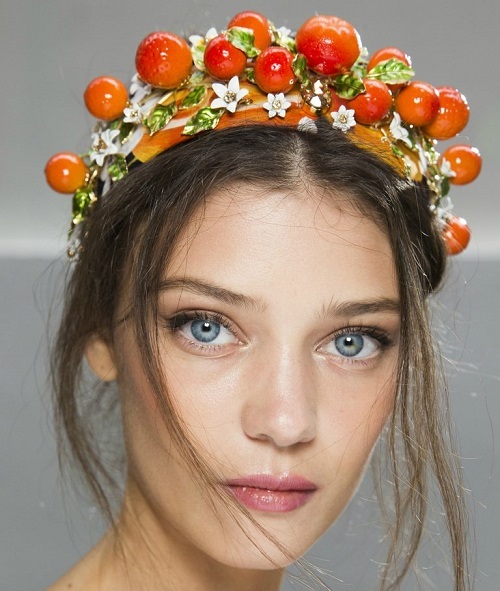 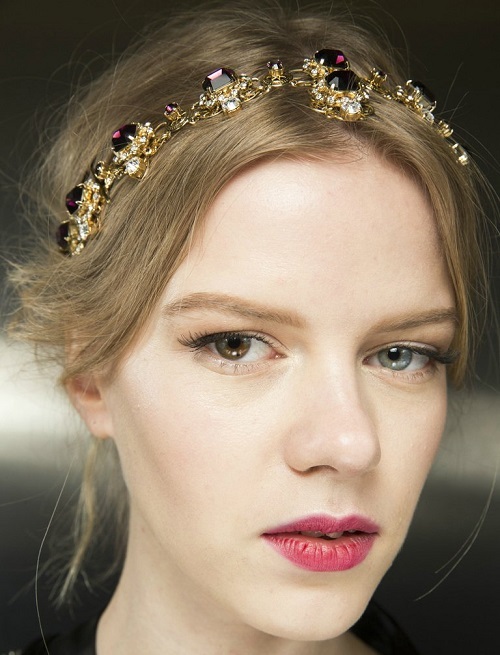 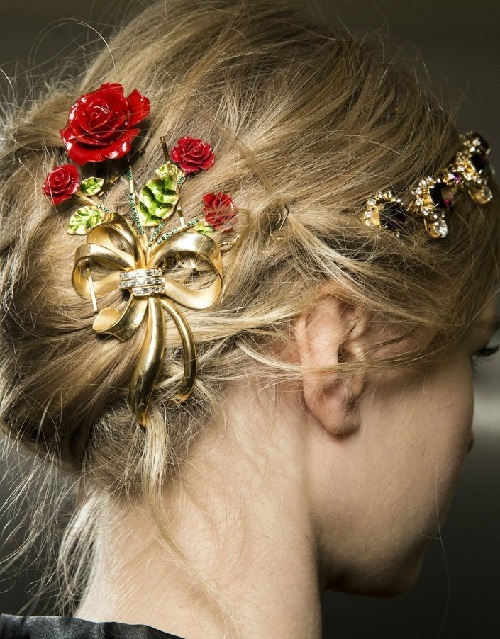 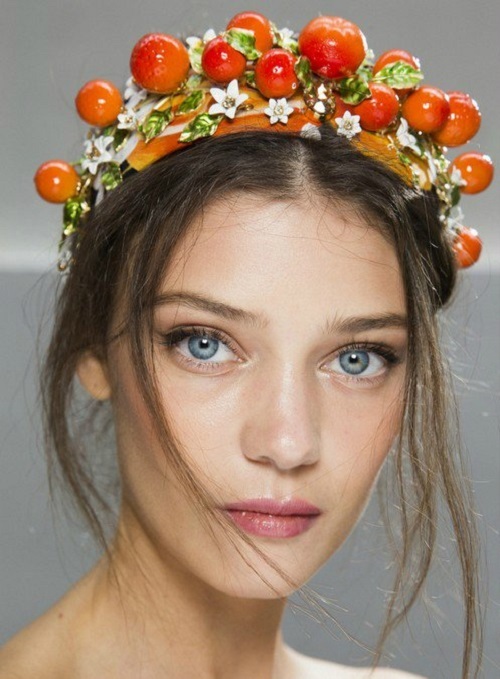 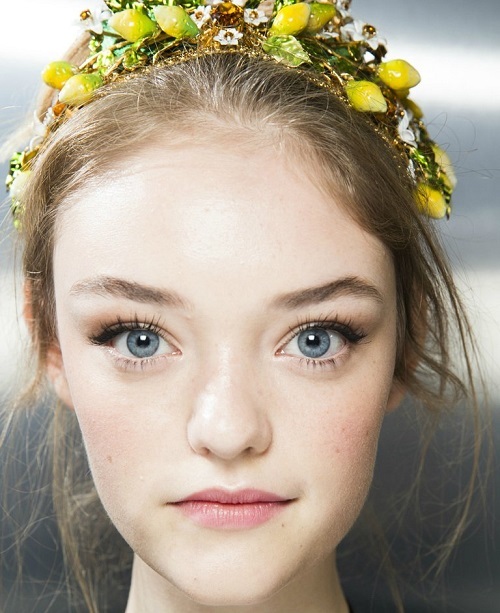 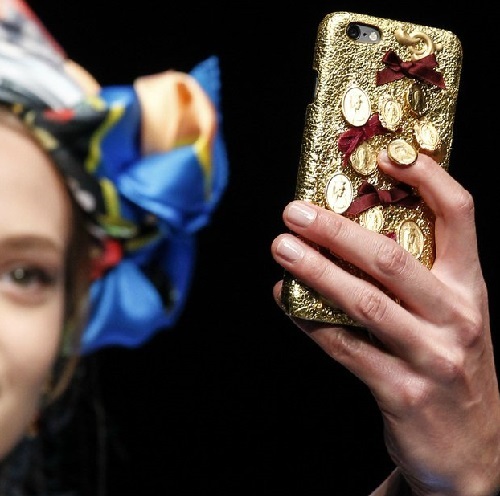 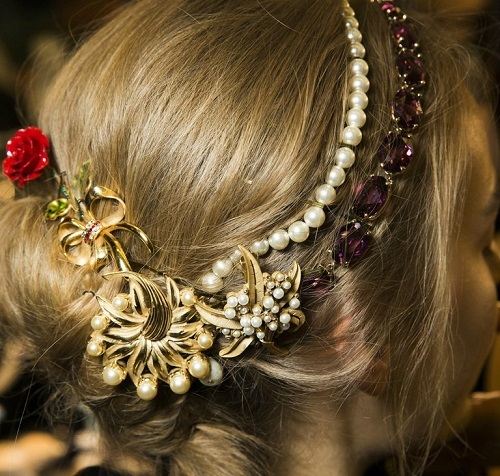 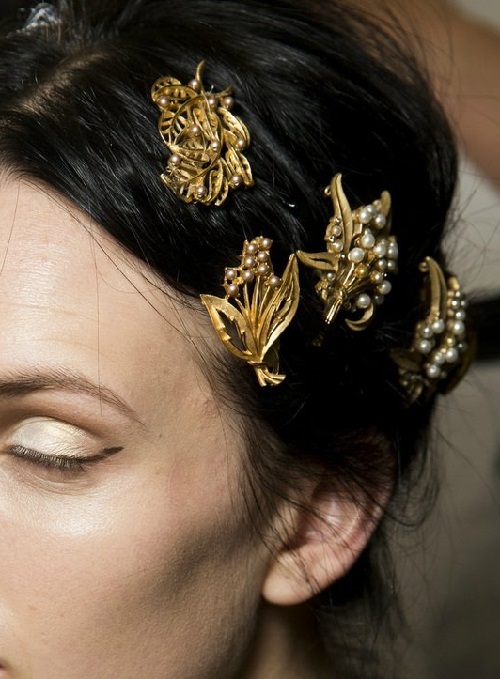 Dolce & Gabbana 2016 head accessories predict the most important trend for head jewelry in 2016, whether it’s a tiara, headband, or a hairpin – its volume, it has to be massive.